An alternative to our normal loop is another three mile walk starting from JFK and Transverse. Instead of heading towards the beach walk up under the bridge and take the first right to Stow Lake. 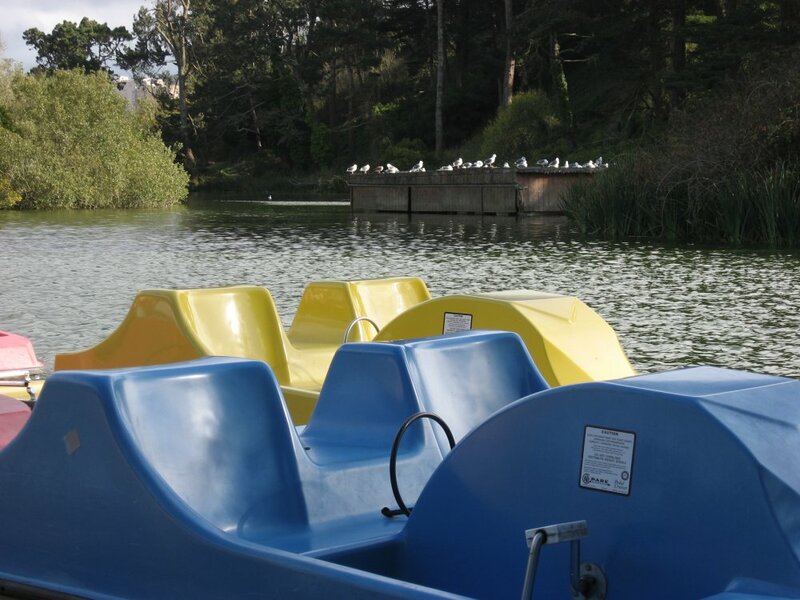 Stow Lake surrounds Strawberry Hill. There's a path around the lake with two bridges leading to the hill. 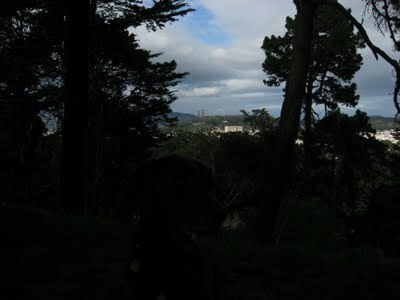 I normally walk to one bridge, cross and then up to the top of the hill. It's generally pretty quiet with great city and ocean views in between the trees. View from the top of Strawberry Hill. Rudy is in there somewhere, click for a larger version. 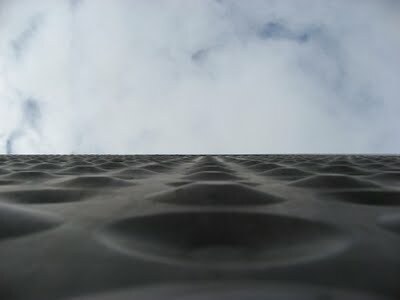 After the hill I walk over to the Museum Concourse. The de Young rises through the trees like an implausibly stranded copper aircraft carrier. 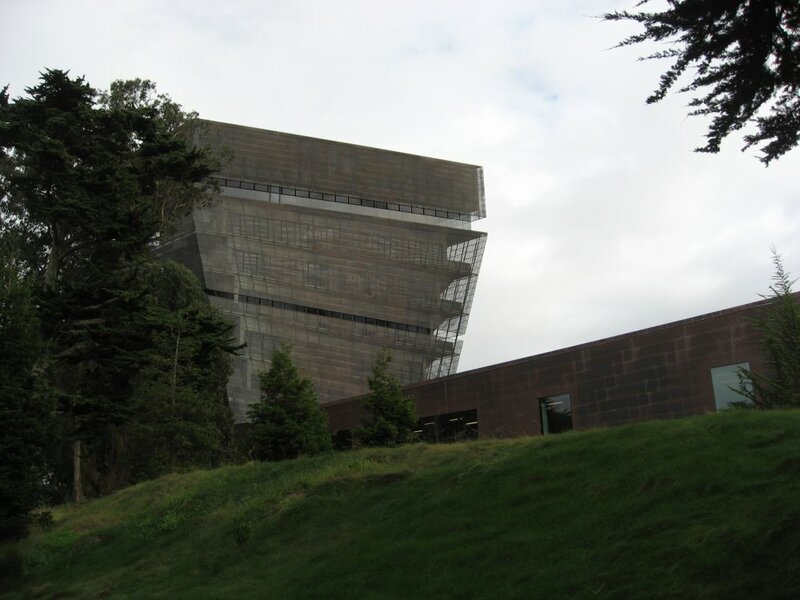 It hosts a range of paintings, decorative art, sculpture and modern art. You're bound to find something you like here. The copper cladding will turn green eventually, probably before the new Bay Bridge span is finished. 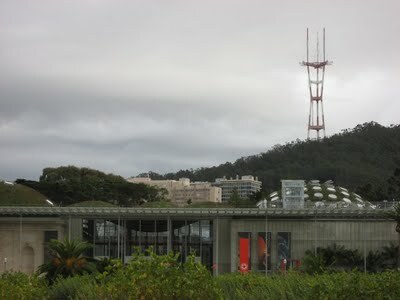 Opposite the de Young is the California Academy of Sciences. The Academy features an outstanding digital planetarium, a three story rainforest and an aquarium. It reopened last year after a major rebuild and it's insanely popular - get there first thing to snag the first come first served planetarium tickets. 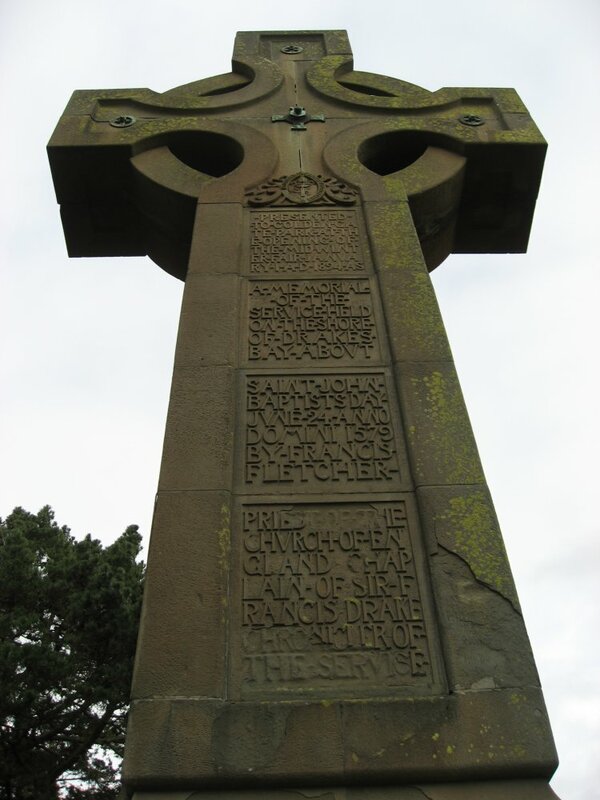 On the way back I detoured up to Prayerbook Cross, donated in 1894 to commemorate the first English sermon on the pacific coast after Sir Francis Drake discovered Drake's Bay (a name which didn't stick). 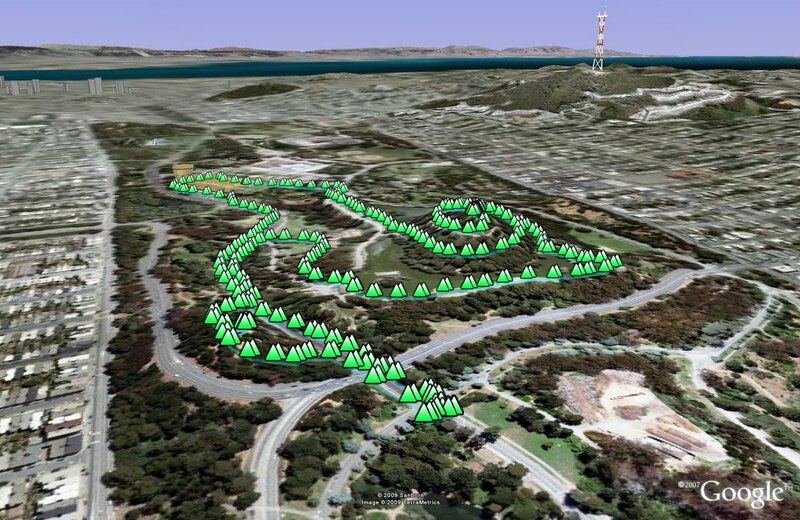 Hike starts at: 37.770433, -122.479941.